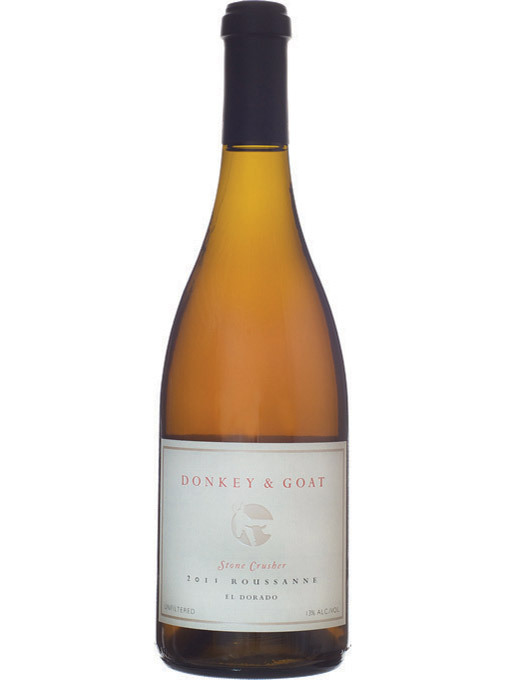 Roussanne is a white grape that seldom gets to speak for itself. In France’s Rhône Valley and here in California, winemakers buffer it with oak and wrap it with low-acidity blending grapes such as Marsanne. 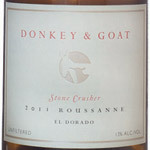 Donkey & Goat’s 2011 “Stone Crusher” is the rare Roussanne let off the leash. The wine attacks with a rush of acidity but pulls back with a chewy, nectariney finish. How do winemakers Tracey and Jared Brandt do it? First, they pick ten days earlier than their neighbors. Then they let the crushed grapes ferment in neutral oak, on their skins, for more than two weeks (most whites receive zero skin time). The skin soak makes the magic, revealing Roussanne’s electrifying side.